Sahar is a 14 year old Syrian student and Ghinwa is a 10 year old Lebanese student. Sahar and Ghinwa are using technology at Kfarmatta Public School. They are using the tools and the program to learn and to raise awareness on the environment. Their aim is first to create a story to make people aware of the importance of the environment through a play which they are creating on Scratch. Their second step is to involve the school community, parents and students in the play and invite their peers in playing and creating games for the environment. 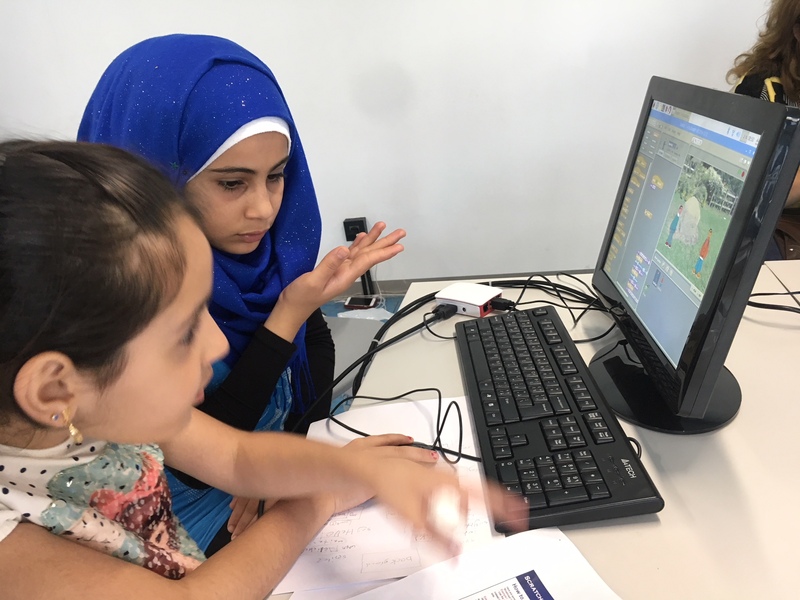 According to Sahar and Ghinwa, the project is very beneficial, not only because they are gaining technological skills, but because they were able to improve their English language skills, learnt to use the Internet, use Google to Translate and practice new words and sentences. In addition, they have gained friendship, Sahar had no friends before and it was challenging for her particularly that she had missed two years of schools when she left Syria. Now she finds learning fun and enjoyable!